1939 Nash Photo Picture Classic Cars for sale & Classifieds - Buy Sell Classic Car & Classic Truck Classifieds. 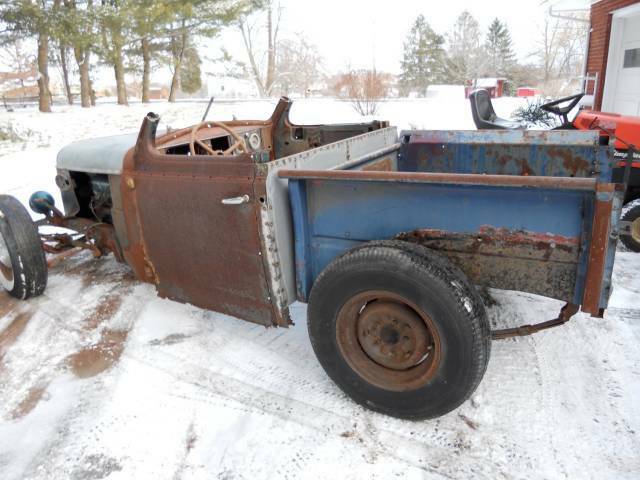 This is a roadster pickup that built from parts from other projects. It is built mostly from a Nash sedan and has a GM V8 engine. The car has been chopped and channeled so it's only 46" high. Good looking rat, probably didn't cost a lot to put it together. I like seeing these, to check out construction techniques (and steal ideas LOL). Seriously, I really like stuff that's owner built and saved from sitting in a field forever.